This article is about the year 1970. For other uses, see 1970 (disambiguation). Unix time epoch reached at 00:00:00 UTC. The First Quarter Storm begin in the Philippines. January 5 – The 7.1 Mw Tonghai earthquake shakes Tonghai County, Yunnan province, China, with a maximum Mercalli intensity of X (Extreme). Between 10,000–14,621 were killed and 26,783 were injured. January 5 – The first episode of the United States soap opera All My Children is broadcast on the ABC television network. January 11 – the Kansas City Chiefs shock the football world by beating the heavily-favored Minnesota Vikings 23-7 in Super Bowl IV. January 14 – Biafra capitulates, ending the Nigerian Civil War. January 31 – I Want You Back becomes the Jackson 5's first Billboard No. 1 Hot 100 single. 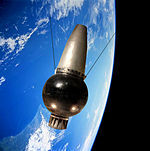 February 11 – Ohsumi, Japan's first satellite, is launched on a Lambda-4 rocket. March 12 – 18-, 19- and 20-year-olds in the United Kingdom vote for the first time, in a by-election in Bridgwater. General Lon Nol ousts Prince Norodom Sihanouk of Cambodia and holds Queen Sisowath Kossamak under house arrest. American President Richard Nixon signs the Public Health Cigarette Smoking Act into law, banning cigarette television advertisements in the United States from January 1, 1971. April 4 – Fragments of burnt human remains believed to be those of Adolf Hitler, Eva Braun, Joseph Goebbels, Magda Goebbels and the Goebbels children are crushed and scattered in the Biederitz river at a KGB center in Magdeburg, East Germany. April 6 – BBC Radio 4 broadcasts the first edition of PM. A huge gas explosion at a subway construction site in Osaka, Japan kills 79 and injures over 400. Israeli Air Force F-4 Phantom II fighter bombers kill 47 Egyptian school children at an elementary school in what is known as Bahr el-Baqar massacre. The single-floor school is hit by five bombs and two air-to-ground missiles. In a press release written in mock-interview style, that is included in promotional copies of his first solo album, Paul McCartney announces that he has left The Beatles. An avalanche at a tuberculosis sanatorium in the French Alps kills 74, mostly young boys. Apollo program: Apollo 13 (Jim Lovell, Fred Haise, Jack Swigert) is launched toward the Moon. April 13 – An oxygen tank in the Apollo 13 spacecraft explodes, forcing the crew to abort the mission and return in four days. Rev. Ian Paisley wins a by-election to gain a seat in the House of Commons of Northern Ireland. The National Westminster Bank begins trading in the United Kingdom. April 17 – Apollo program: Apollo 13 splashes down safely in the Pacific. April 21 – The Principality of Hutt River "secedes" from Australia (it remains unrecognised by Australia and other nations). April 22 – The first Earth Day is celebrated in the U.S.
April 24 – China's first satellite (Dong Fang Hong 1) is launched into orbit using a Long March-1 Rocket (CZ-1). April 26 – The World Intellectual Property Organization (WIPO) is founded. April 29 – The U.S. invades Cambodia to hunt out the Viet Cong; widespread, large antiwar protests occur in the U.S. Demonstrations against the trial of the New Haven Nine, Bobby Seale, and Ericka Huggins draw 12,000. President Richard Nixon orders U.S. forces to cross into neutral Cambodia, threatening to widen the Vietnam War, sparking protests across the United States and leading to the Kent State shootings. Lubbock tornado: An F5 tornado hits downtown Lubbock, Texas, the first to hit a downtown district of a major city since Topeka, Kansas in 1966; 26 are killed. The 7.9 Mw Ancash earthquake shakes Peru with a maximum Mercalli intensity of VIII (Severe) and a landslide buries the town of Yungay, Peru. 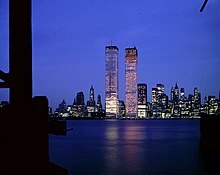 Between 66,794–70,000 were killed and 50,000 were injured. September 6 – Dawson's Field hijackings, The Popular Front for the Liberation of Palestine hijacks four passenger aircraft from Pan Am, TWA and Swissair on flights to New York from Brussels, Frankfurt and Zürich. September 8–10 – The Jordanian government and Palestinian guerillas make repeated unsuccessful truces. September 17 – "Black September": King Hussein of Jordan orders the Jordanian Armed Forces to oust Palestinian fedayeen from Jordan. September 18 – American musician Jimi Hendrix dies at age 27 from an overdose of sleeping pills. September 19 – The first Glastonbury Festival is held, at a farm belonging to Michael Eavis. September 19 – Kostas Georgakis, a Greek student of geology, sets himself ablaze in Matteotti Square in Genoa, Italy, as a protest against the dictatorial regime of Georgios Papadopoulos. Palestinian armed forces reinforce guerillas in Irbidi, Jordan. September 24 – The Odd Couple premiered on ABC. "October 1970" redirects here. For other uses, see October 1970 (disambiguation). American singer Janis Joplin dies at age 27 from an overdose of drugs. The U.S. Foreign Office announces the renewal of arms sales to Pakistan. October 23 – Gary Gabelich sets a land speed record in a rocket-powered automobile called the Blue Flame, fueled with natural gas. In Jordan, the government of Ahmad Toukan resigns; the next prime minister is Wasfi al-Tal. Gary Gabelich drives the rocket-powered Blue Flame to an official land speed record at 622.407 mph (1,001.667 km/h) on the dry lake bed of the Bonneville Salt Flats in Utah. The record, the first above 1,000 km/h, stands for nearly 13 years. October 30 – In Vietnam, the worst monsoon to hit the area in six years causes large floods, kills 293, leaves 200,000 homeless and virtually halts the Vietnam War. Three Pakistanis and a Polish Deputy Foreign Minister, Zygfryd Wolniak [pl], are killed at Karachi airport, Pakistan. Salvador Allende takes office as president of Chile. November 5 – Vietnam War: The United States Military Assistance Command in Vietnam reports the lowest weekly American soldier death toll in five years (24 soldiers die that week, which is the fifth consecutive week the death toll is below 50; 431 are reported wounded that week, however). The British comedy television series, The Goodies debuts on BBC Two. Australian Senate election, 1970: The Liberal/Country Coalition Government led by Prime Minister John Gorton and the Labor Party led by Gough Whitlam each ended up with 26 seats; both suffering a swing against them. The Democratic Labor Party won an additional seat and held the balance of power in the Senate. To date, this was the last occasion where a Senate election was held without an accompanying House Of Representatives election. Rodgers and Hammerstein's Oklahoma! makes its network TV debut, when CBS telecasts the 1955 film version as a three-hour Thanksgiving special. November 25–29 – A U.N. delegation arrives to investigate the Guinea situation. December 27 – President of India V. V. Giri declares new elections. December 31 – Paul McCartney sues in Britain to dissolve The Beatles's legal partnership. This page is based on the Wikipedia article 1970; it is used under the Creative Commons Attribution-ShareAlike 3.0 Unported License (CC-BY-SA). You may redistribute it, verbatim or modified, providing that you comply with the terms of the CC-BY-SA.